Former Green Party candidate Chris O'Leary has been nominated by Sinn Féin to contest the Cork South-Central election for the party. 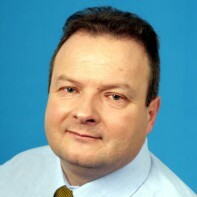 Although O'Leary was unsuccessful in his attempt to win a seat for the Greens in Cork North-Central in 2007, he was elected to Cork County Council as an independent councillor in June 2009. This will be his first election as a Sinn Fein representative. O'Leary has previously volunteered in the Amazon Region where he worked to document social problems of indigenous tribes.